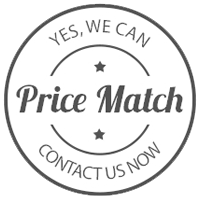 If you are looking to bulk order or buy for trade then why not take advantage of our advanced trade pricing. If you have any questions regarding trade accounts please contact our team directly on 01275 407006. Fill in the form bellow for our team to process your trade account application. All applications are handled manually and login details will be emailed to the contact email provided. Cases2Go are here to make sure you succeed and give your customers the best possible solutions. We have over 30 years experience in the protective case industry and we extend this experience to your customers as a trade customer of Cases2Go.